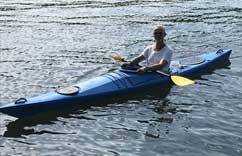 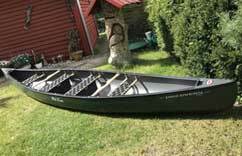 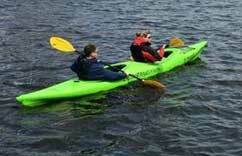 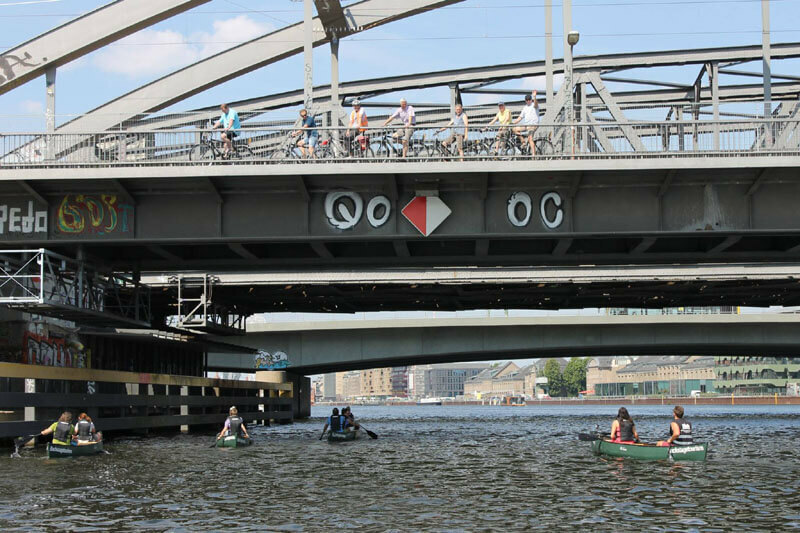 Combine a bike with a canoe tour and make it a special outdoor experience! 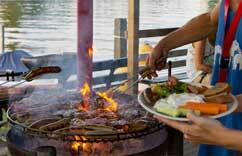 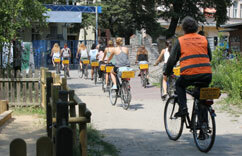 This tour is suitable for groups of 20 people and more. 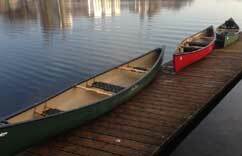 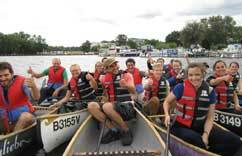 The group is split into two smaller groups; one group starts in the canoes and the other on bikes. 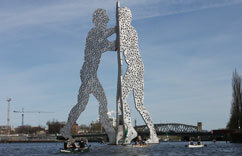 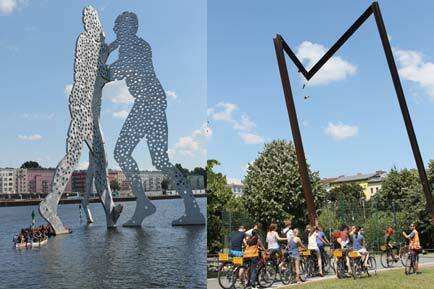 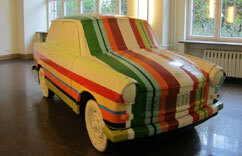 The bike tour starts in Prenzlauerberg in the Kulturbrauerei and the boat tour in Treptow opposite the Isle of Youth. 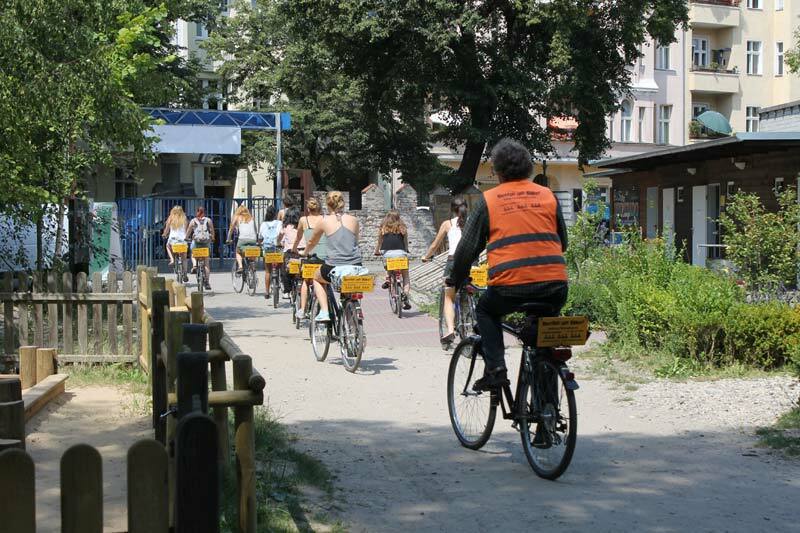 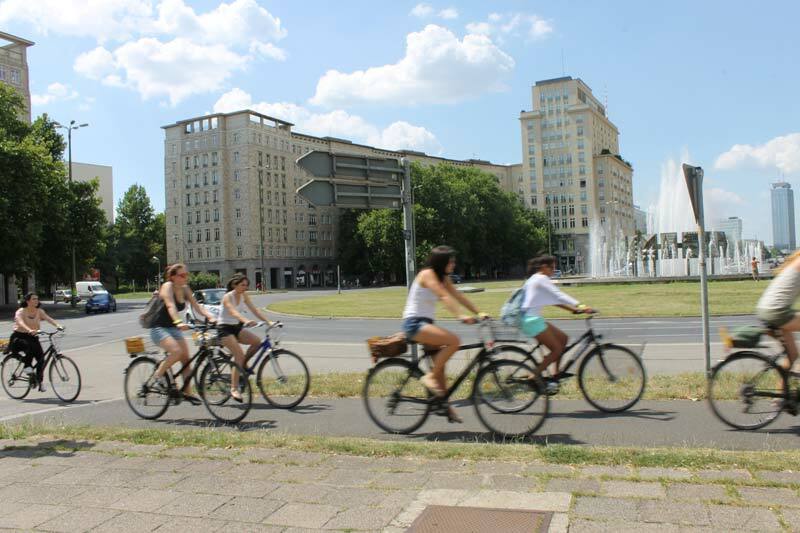 The guided bike tour consist of various exciting stops through the former German Democratic Republic such as Friedrichshain and Prenzlauerberg. 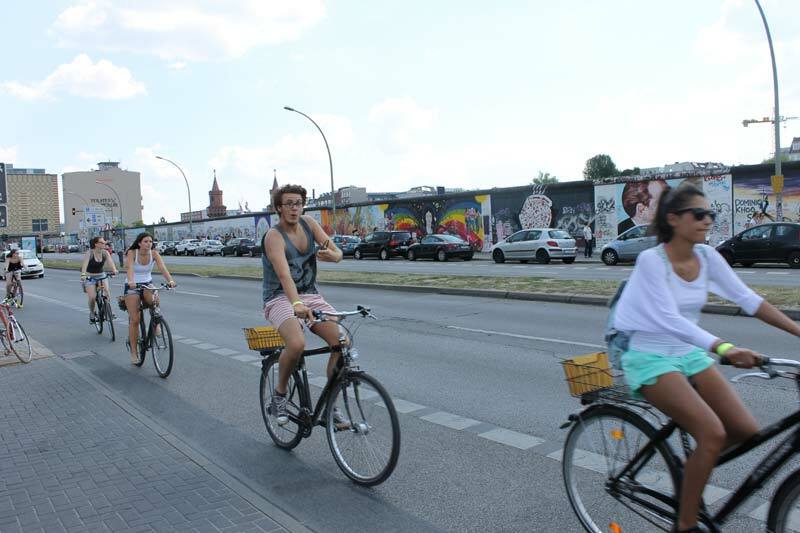 Alternatively you can choose another route which runs through Berlin-Mitte or Kreuzberg. 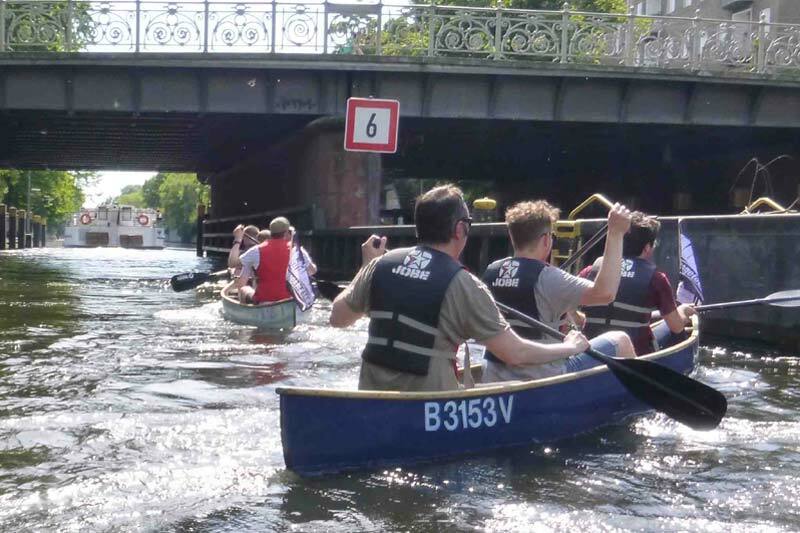 Both guided groups start at the same time (one group in canoes, the other on bikes). 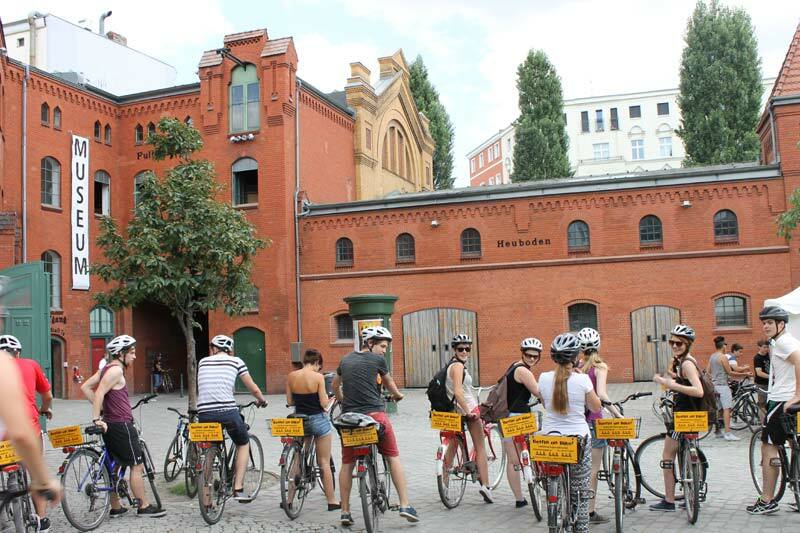 Both groups steer towards Kreuzberg where they meet and have a break together as big group. 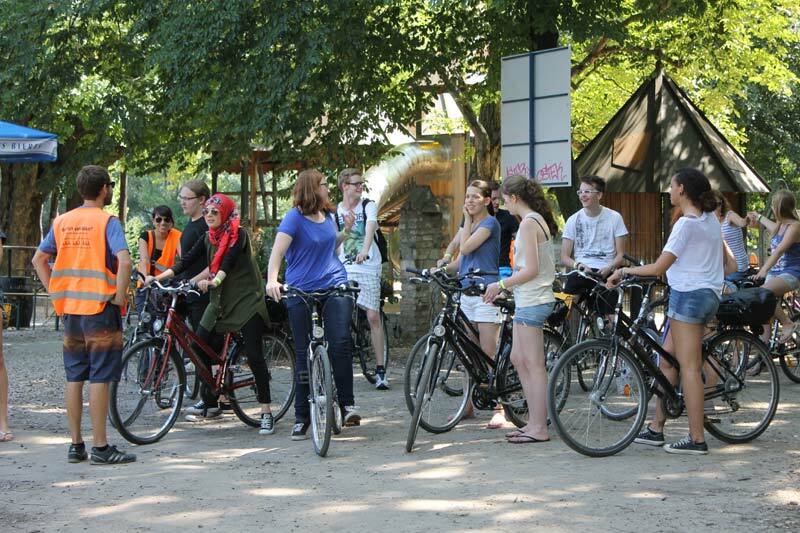 After the refreshment the groups switch: from boat to bike or from bike to boat. 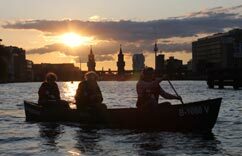 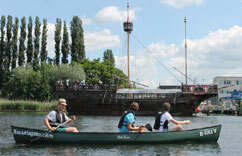 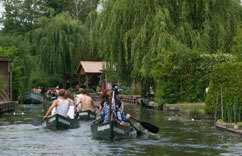 One group then cycles back to Kulturbrauerei and the other group paddles back to the Isle of Youth in Treptow. 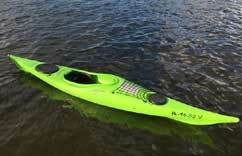 Because of the double use of the equipment we are able to offer you an affordable price. 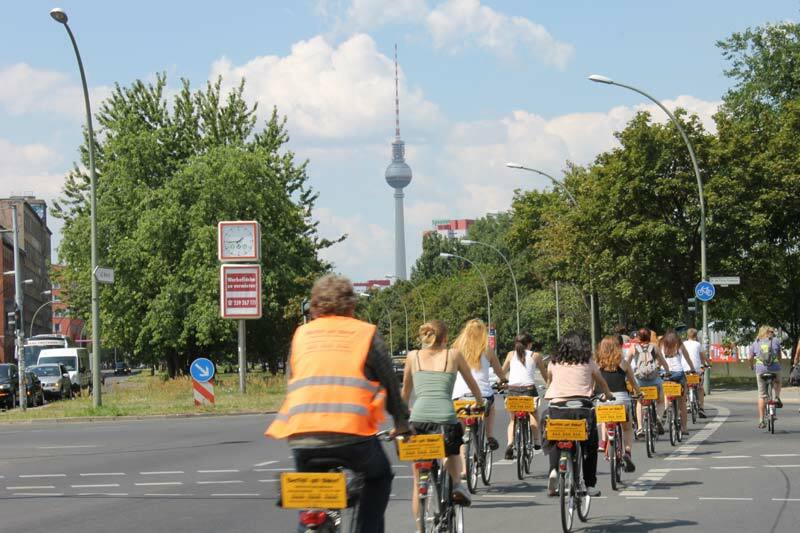 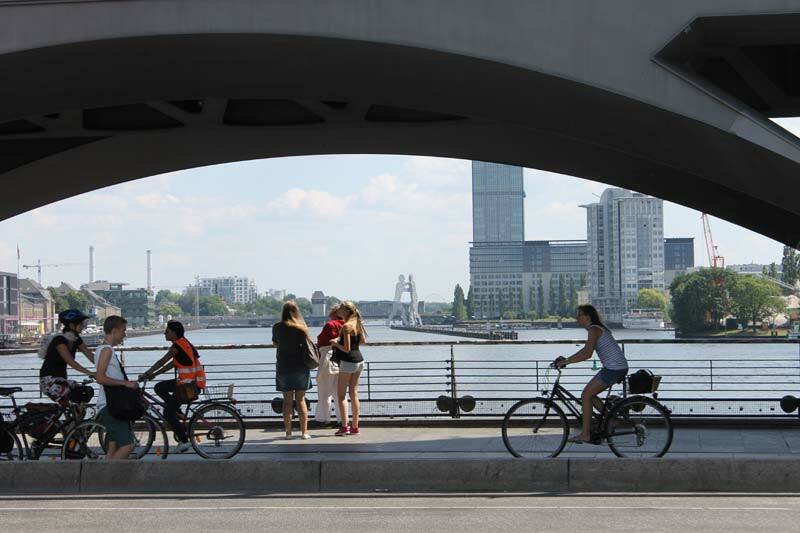 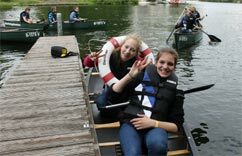 Look behind the scenes and experience Berlin by bike and boat! 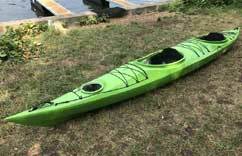 Please enter a number from 20 to 240.